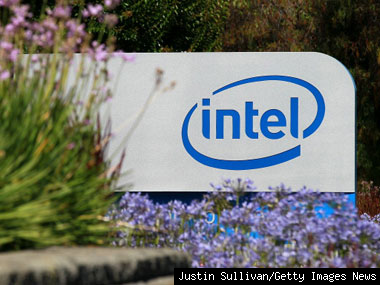 In what was a highly unusual move that eventually sealed the deal, Intel’s newly named CEO Brian Krzanich and its new president Renée James pitched the company’s board as a team with a unified position on how to go forward. The new details about the decision to name Krzanich as the successor to retiring CEO Paul Otellini emerged in a brief report by CNBC’s Jon Fortt (video below) after he talked with Chairman Andy Bryant, who led the board’s search. The joint pitch initially threw the board for a bit of a loop if only because it’s a highly unusual — and, one would presume, risky — move, in so delicate a matter as CEO succession at one of the world’s most influential tech companies. While the conclusion, at least as far as Krzanich goes, certainly appears to have been a predictable one — every Intel CEO since Andy Grove has been COO first — outsiders were still in the running until the very end. Also a key selling point, though there are as yet no particulars about this, was Krzanich and James’ vision for pursuing the mobile market where Intel is as yet not participating significantly. Expect more noise on that subject once the pair starts their new jobs after May 16.